4 Bedrom, 5 Bath All Brick 2 Story with Golf Course Views! Great Golf Course Lot and Views of the Signature Chateau Course at Chateau Elan. 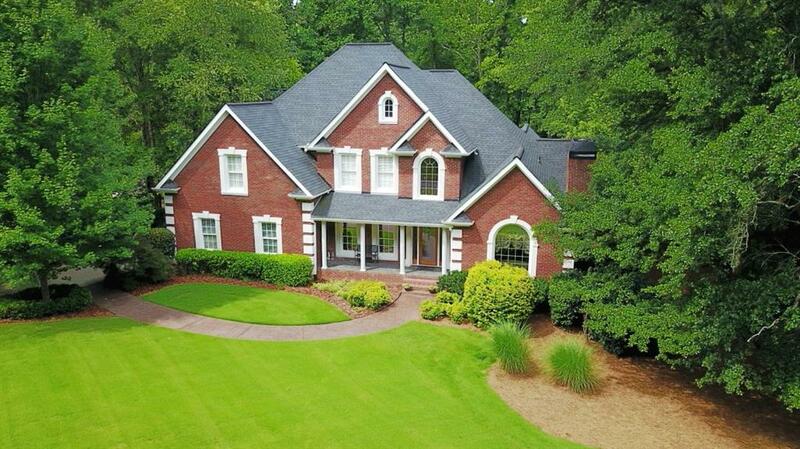 All Brick 2-Story, Open Floor Plan offering Master Main, Vaulted Gentlemen's Study/Living Room w/Fireplace. Two Story open Foyer and Family Room opens to Welcoming Sunroom. Chef's Kitchen w/SS Appliances and Working Island. Front and Back Staircases. Spacious Secondary Bedrooms, Finished Lower Level w/Game Rm/Open Media Rm and serving Bar. Over an Acre of Beautiful Landscaping, Babbling Creek and Private Golf Views.